Less than two months after Colorado was largely clear of drought, another week of substantial increase is impacting the state. 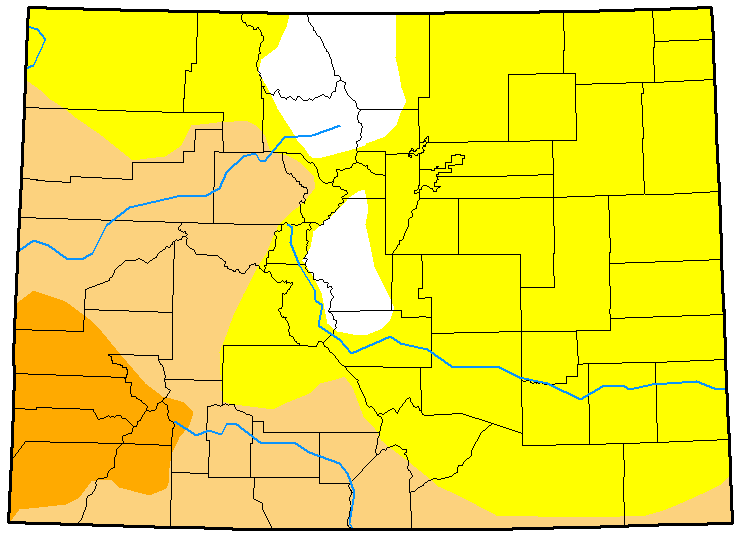 All but a small portion of northwest Larimer county - representing less than one percent of the state's total area - now faces at least abnormally dry conditions. 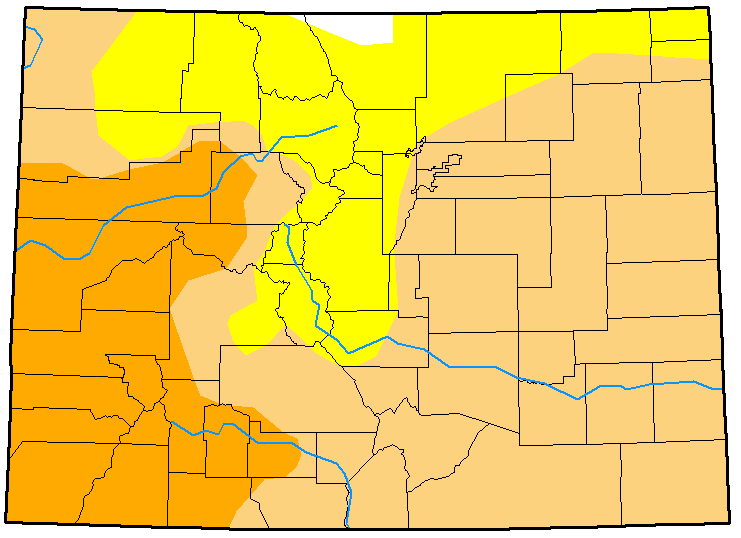 Much of western Colorado is moved into severe drought, which continued to spread after first appearing last week. All or portions of 19 counties are now in severe drought, up from nine counties one week ago. 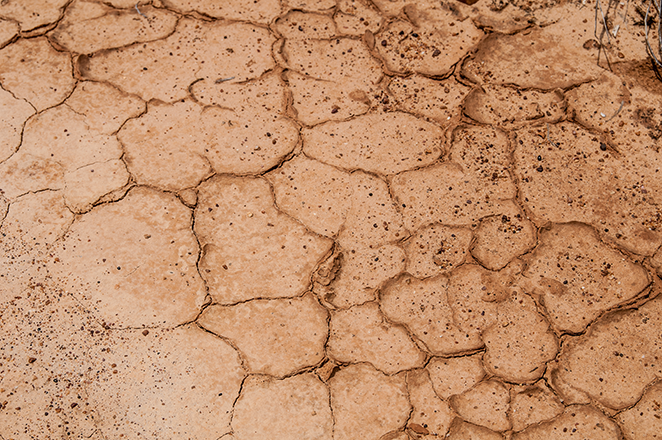 The area in severe drought jumped from seven percent of the state to 22 percent. Moderate drought also expanded substantially, and now covers 54 percent of the state. The expansion mostly impacted the eastern plans, which was previously considered abnormally dry except for a swath along the southern border in Las Animas and Baca counties that moved into moderate drought last week. This week, Sedgwick county in the northeast corner was the only plains county which escaped having at least some of its area move from abnormally dry to moderate drought. Colorado experienced above-average temperatures in December, particularly in the south central and western half of the state. Temperatures are likely to remain above normal in western Colorado in January, especially in the southwest corner of the state. Temperatures for most of the eastern plains are expected to be about average for this time of year. Over the coming three months, the trend is likely to continue, with the central and southern plains potentially moving to above-average temperatures during the first quarter of the year. Precipitation in January is expected to be about normal for this time of year. Throughout the three-month period, the southern half of the state is likely to remain dry, while the northwest corner has some potential for above-average snow and rain. Overall, less than one percent of the state is drought-free, nearly 24 percent is abnormally dry, almost 54 percent is in moderate drought, while slightly over 22 percent is in severe drought. Map data courtesy National Drought Mitigation Center. Top: January 9; bottom: January 2.